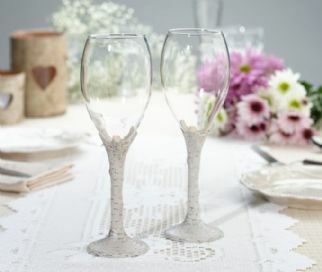 Toasting glasses with birch stems will bring elements of nature into the wedding reception. Toasting glasses stand 9. 25" tall and hold 12 oz.